We will find the correct solution for you! Are you looking to talk things through with someone? Are you searching for solutions for your mental and physical symptoms? Are you searching for the practical strategies to manage the impact of challenges in your life? If you feel your self-esteem and confidence has dropped, or if you are facing symptoms of anxiety, stress, depression or grief. Or if you are suffering from a medical condition and wish to improve your array of options to resolve the cause of your issues; why not call us and find out how our professional services can help you! 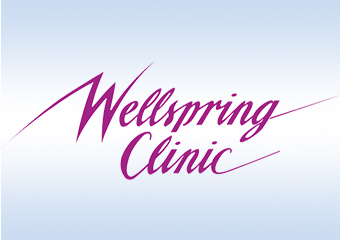 Wellspring Clinic provides a professional and confidential service to its clients through practitioners who have extensive knowledge, experience and are regularly seeking further professional development and education. Sharron Mackison and Wendy Watson ran a highly successful practice in the CBD of Chatswood for more than 15 years, before they resituated themselves in the Caboolture area, a move that was prompted by the slow drift of their respective family members to south east Queensland. Sharron and Wendy both bring a wealth of diverse clinical experience, professional knowledge and a personalised, integrated approach to client healing. Change quickly and easily - Animal Health Care Get safe, effective help for your furry family members. Change quickly and easily - Family Constellations Who can benefit from professional supervision and Family Constellations? Change quickly and easily - Hypnotherapy & NLP Hypnotherapy is a powerful way to access the remarkable creative resources of the unconscious mind to create positive behaviour changes.